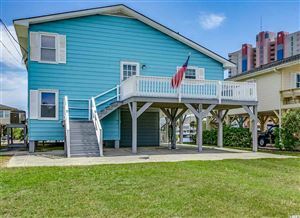 Charleston Landing is an exciting new housing development in North Myrtle Beach, SC designed to capture the charm and gracious design of historic Charleston, SC. Just a few minutes north of Cherry Grove, you will discover this new community with a special character influenced by the gracious low country living that Charleston is know for. Being just steps away from all of the activity of the North Myrtle Beach area means you can slip into vacation mode any time you like, without giving up the creature comforts of home. Charleston Landing homes have been built with the best materials, quality workmanship, and special energy efficient features that make life more comfortable, and provide you with substantial savings on utility bills. For those who prefer to select a lot and build a custom home in the coveted Charleston style have the option to do so. Although Charleston Landing is located minutes from the beach, it still features a private Amenities Center complete with an ionized pool. Located directly on the marsh, the Amenities Center can be reserved by home owners for private parties, and includes all of the features needed for a successful event. In addition to the Amenities Center and neighborhood pool on the marsh, the community offers numerous natural areas, gazebos on the lakes, as well as a playground and basketball courts. Charleston Landing also provides a gated storage area for smaller boats and recreational vehicles. RE/MAX Southern Shores, the #1 selling real estate agency along the Grand Strand, invites you to access listings for Charleston Landing lots and single family homes by using the search features on the left of this website. Then call a RE/MAX Southern Shores agent at 843-249-5555 for personal attention to find the housing option that is just right for YOU! Of all the sights of Charleston Landing, the charming homes are most certainly the highlight of the neighborhood. From the vibrant colors to the front porches these homes pay homage to a historic architectural style deeply rooted to the Charleston, South Carolina, area. Lot owners are encouraged to bring their own builders to the neighborhood with the understanding that all homes are subject to the approval of our Architectural Review Board (ARB). So whether you are looking for a home that is already built or want to pick your lot and home design, Charleston Landing is the place for you! All one has to do is take a drive through the community to see all it has to offer. RE/MAX Southern Shores real estate agents are very familiar with the Charleston Landing market, and would be delighted to take you on a tour through the Charleston Landing housing subdivision as well as the North Myrtle Beach area. Simply give us a call at 843-249-5555 to schedule some time to make your real estate dreams come true!